The red kite must once have been a common bird in Sutton. When the Pinner (in charge of the town pound, where stray animals were kept) had to describe the colour of a stray horse to the Sutton Court Leet in 1563, he said it was kite-coloured - “A horse called a filly kite-hued in colour worth 16 shillings came to this lordship as a stray and had been here a year on the feast of St. Bartholomew the Apostle last”. A document of 1343 refers to a field in Maney by the name of “kitteyeard letekedyn”, that is, the kitefield belonging to Mr. Letekedyn. 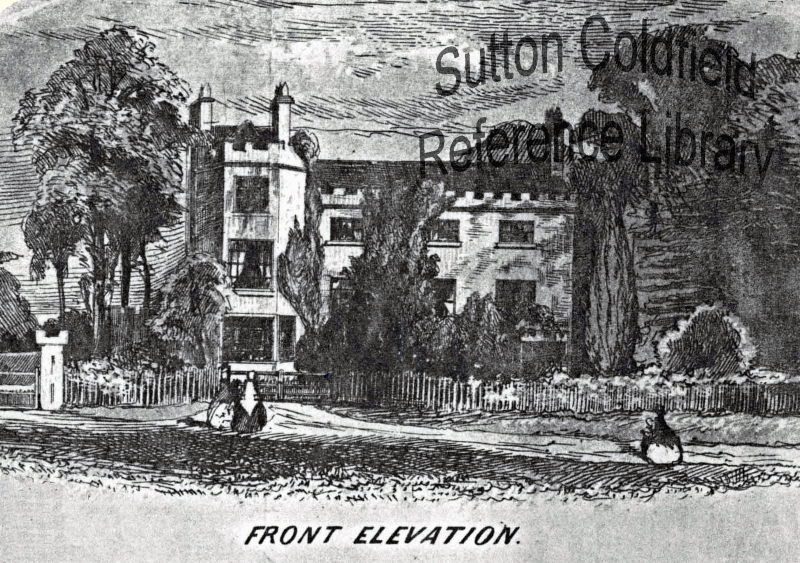 Kites were not the only birds of prey to feature in old Sutton place-names. A 1240 document in the Warwick Castle cartulary lists places in Sutton where new land was being taken into cultivation, including a district called “Havekesneste” or Hawksnest. This was probably the area south of Reddicap Heath - the name persisted through the centuries, and an 1824 survey shows a Hawksnest Field where the playing fields of John Willmott School are now. A nearby property was bought by Mr. Pepper in the 1820s and rebuilt in the Regency Gothic style - he may have thought of calling it “Hawksnest”, but settled instead on the more aristocratic name of “Falcon Lodge”. Birds of prey suffered in the nineteenth century from the efforts of gamekeepers who shot anything with a hooked beak in order to protect their pheasants. J. Steele Elliott gave a lecture on the birds of Sutton Park in 1896, naming merlin, buzzard and osprey as occasional visitors, and only kestrel and sparrowhawk as resident. Stephan Bodnar’s 1995 review of birds in Sutton Park relegated kestrel and sparrowhawk to the occasional category along with merlin, with rare sightings of hobby, hen harrier and osprey, but he noted that buzzards were becoming more common. The red kite was extinct in England in 1995, but has since been reintroduced, and has established itself, with an estimated 1500 breeding pairs. However, the nearest colony of kites is in the East Midlands, so it may be a few years yet before we see them circling over the New Hall Valley.